36 x 46 inch standard full step wire deck. Capacity: 2000 lbs. evenly distributed. Heavy-duty welded wire deck panels, three channels open side down of formed steel with double waterfall. Drop-in style installation requires no tools. This decking increases sprinkler effectiveness, enables storage of small items, allows for increased product visibility & increases the cleanliness of the facility. 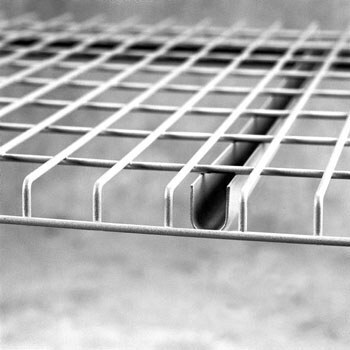 Wire deck is available in various sizes along with vertical dividers.